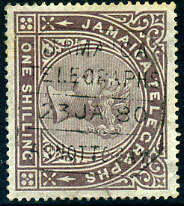 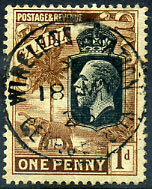 23 JA 80 on QV 1/- dull purple-brown JAMAICA TELEGRAPHS Crown CC wmk, corner crease. 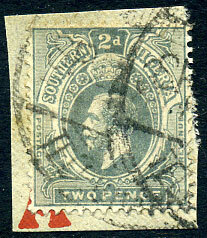 (072.08) */11 MY 59 on QE2 1/- (SG.217). 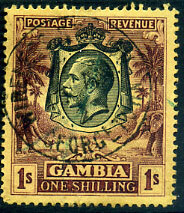 27 JA 51 on KG6 1/3d piece. 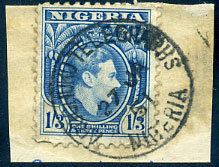 showing SP before indistinct date on Southern Nigeria KGV 2d (SG.47) piece. 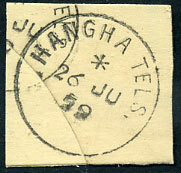 (16 bar) on 6d ovp'd "T F" (SG.T22). 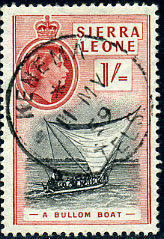 (102.TELS) */6 FE 58 on QE2 1/3d (SG.218). 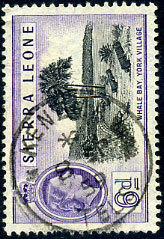 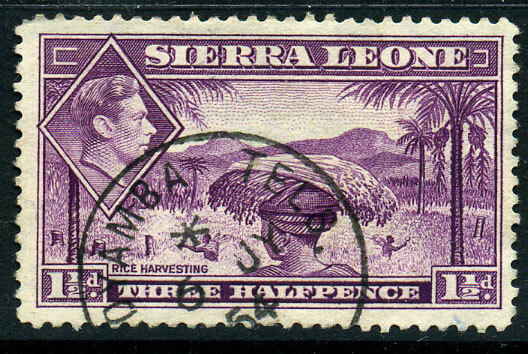 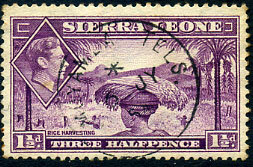 Illustrated Page 63 of "The Postmarks of Sierra Leone 1854-1961 Second Edition" by Walton, Quirk, Hamilton, Horry. 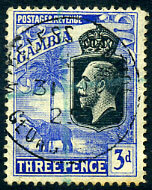 (0.99-TEL) 5 AP 59 on QE2 3d (SG.214), short base perf. 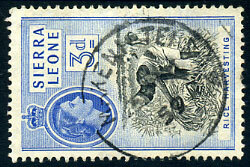 Illustrated Page 65 of "The Postmarks of Sierra Leone 1854-1961 Second Edition" by Walton, Quirk, Hamilton, Horry. 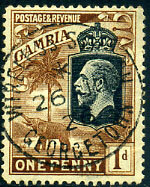 (T.2A) Telegragh Office DE 24 15 on KGV 9d (SG.47). 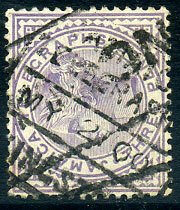 (117.MT) */6 JY 54 on KG6 1½d (SG.190a). 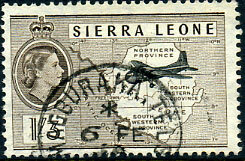 dated */26 JU 59 on stampless PSRE cut-out piece. 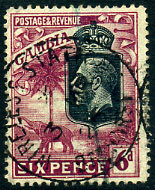 (072.08) */8 SP 59 on QE2 6d (SG.216), perf. 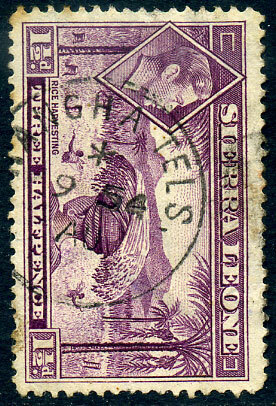 fault middle left side. 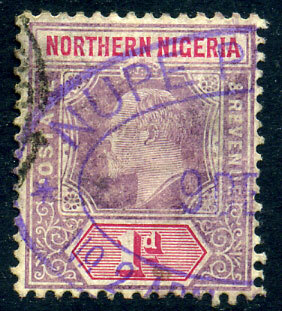 SEP 7 16 on Northern Nigeria KE7 3d (SG.32). 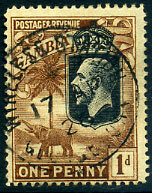 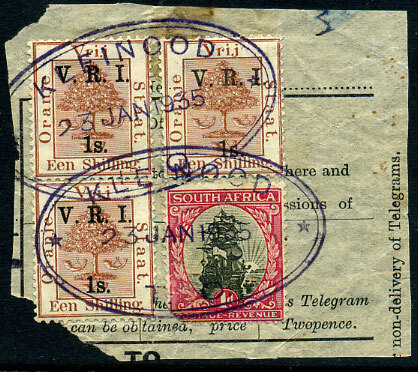 */9 AU 54 on KG6 1½d (SG.190a), some toned perfs. 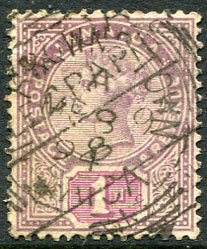 (117MT) */6 JY 54 on KG6 1½d (SG.190a).